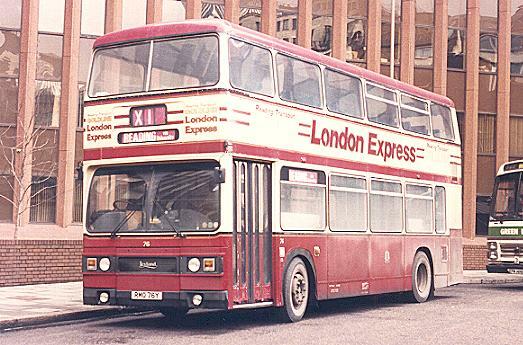 The X1 service was born out of the 1980 Transport Act and initially connected Reading with Southend in 1982. However the following year the service was divided, with Southend Transport terminating at Heathrow and Reading Transport at Aldgate. At its height, the X1 had over 20 vehicles. 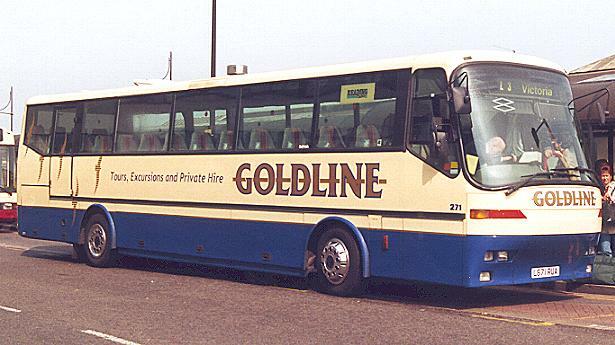 In 1991 the Bee Line X1/X2 and Reading X1 were combined and re-branded to give the Goldline L1 (and others). Eventually after a gradual thinning of the timetable, the Reading Buses service came to an end in May 2000. 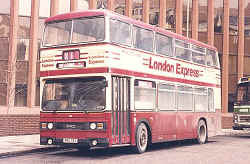 Reading 132 (SGM132S) was one of two coach seated Metro-Scanias. It is seen at Reading Station in November 1983. Five coach seated Titans operated on the X1 in the mid-80's. Reading 76 (RMO76Y) is seen at the eastern terminus of Aldgate in January 1985. Possibly the smartest X1 vehicles were the 1984 Metrobuses. Reading 148 (B148EDP) is seen at the station in January 1985. Reading 271 (L671RUA) at the station loading for Victoria on the last Saturday of operation on 6th May 2000.